WASHINGTON — Nearly a month after the signing of a policy directive calling for commercial space regulatory reforms, Commerce Department officials said this week they’re moving ahead on a number of fronts. One section of SPD-2 requires Commerce Department to review existing regulations for licensing commercial remote sensing systems and, within 90 days, either revise them or publish a notice of proposed rulemaking for doing so. At the council meeting, Ross said that rulemaking would soon be published in coordination with the White House Office of Management and Budget (OMB). “Last week, as promised, the department submitted to OMB our advanced notice of proposed rulemaking on remote sensing,” he said. “It will be posted in the Federal Register this week.” However, as of June 22 the rulemaking had not been published. The department is also working on a legislative proposal to submit to OMB regarding a reorganization of Commerce’s space capabilities. 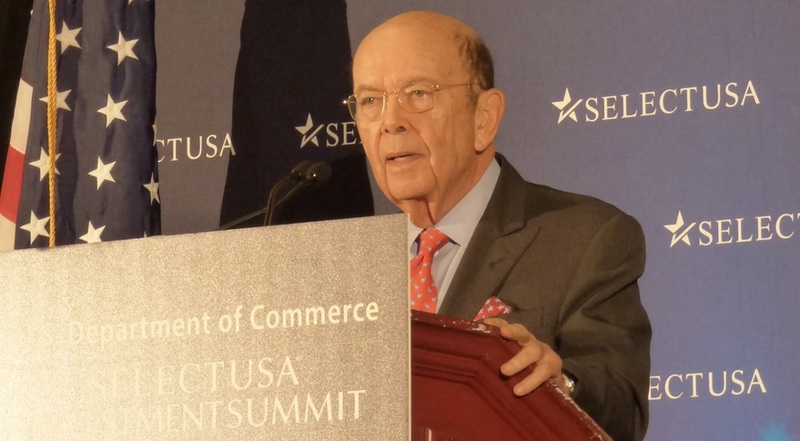 Shortly after the release of SPD-2, Ross announced that Commerce would combine its Office of Space Commerce with the Commercial Remote Sensing Regulatory Affairs office into a new organization, the Space Policy Advancing Commerce Enterprise (SPACE) Administration. The proposed legislation, Ross said, would “solidify” that change. The Office of Space Commerce, which has been without a permanent director for years, will soon get a leader. Ross said that Kevin O’Connell will soon start work on that presidentially appointed job. O’Connell, the president and chief executive of consulting company Innovative Analytics and Training, has extensive experience in commercial remote sensing in particular, a topic he testified about at the February meeting of the National Space Council. “He is the perfect man for the job,” Ross said of O’Connell, citing his experience in the field. O’Connell will also be the head of the SPACE Administration when that is formally set up, said James Uthmeier, the “regulatory reform officer” of the Commerce Department, at the June 19 meeting of the space council’s Users’ Advisory Group. Uthmeier said that House appropriators had approved a reprogramming package to fund the SPACE Administration using other fiscal year 2018 funds and was expecting the Senate to approve it in the near future. Another aspect of SPD-2 requires members of the National Space Council to coordinate a review of export control issues related to commercial space activities. “Next week, we will begin interagency discussions to implement space export control reform,” Ross said at the June 18 space council meeting. However, other comments suggest a potential disconnect between what industry is looking for and what some in government expect to emerge from those discussions. “That review is not solely about what can be moved off the USML and put on the CCL,” said Scott Pace, executive secretary of the National Space Council, at the Users’ Advisory Group meeting. The United States Munitions List includes those items under the jurisdiction of the International Traffic in Arms Regulations (ITAR), while the Commerce Control List is under a less-restrictive export control system administered by the Commerce Department. Export control, though, was an issue at the June 14 meeting of the Commercial Space Transportation Advisory Committee (COMSTAC), which advises the Federal Aviation Administration’s Office of Commercial Space Transportation. Industry representatives on COMSTAC backed using the export control reform process required by SPD-2 to address further reviews of items of the USML. “I think we have both an opportunity and a challenge,” said Mike Gold, chairman of COMSTAC and a long-time advocate for export control reform. The National Space Council’s activities provide an opportunity, he said, for identifying “discrete actions” that can be taken to improve the process. The challenge, he said, was getting various agencies, and their staffs, to support such efforts. Another top priority for Commerce related to commercial space, Uthmeier said at the Users’ Advisory Group meeting, was encouraging more international business for, and investment in, American space companies. The commercial space industry was one area of emphasis for the SelectUSA Investment Summit, held this week at National Harbor, Maryland. During the event, Ross held a brief “armchair discussion” about commercial space with Virgin Galactic Chief Executive George Whitesides and Virgin Orbit Chief Executive Dan Hart, which took place after a speech by Lockheed Martin Chief Executive Marillyn Hewson. While Ross announced several foreign investment deals at the conference, none involved space. However, he said at a June 21 press conference at the event that it remained a priority. “Commerce will be working very hard to attract investment into U.S. space,” he said.